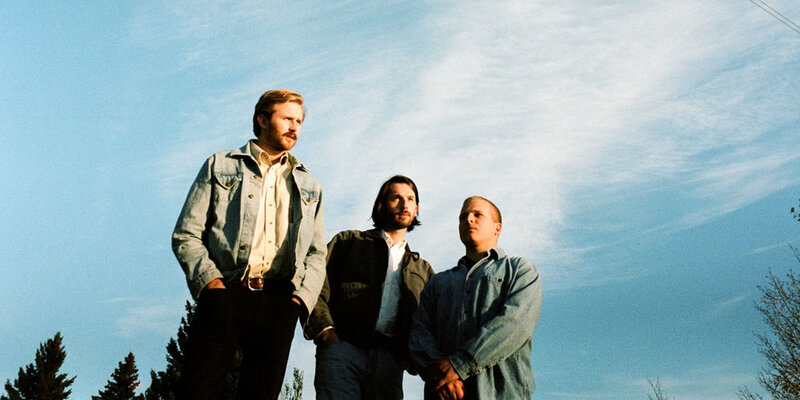 Saskatoon’s Close Talker are sharing their first new single since the release of Lens (2017). “Half Past Nine” marks a new chapter for the band. The three members, Will Quiring, Matthew Kopperud, and Chris Morien, leaned into the trust and foundation built over many years of friendship to pursue a song that would be sustainable. At its core, the song is laced with a quiet confidence that invites the listener dig in, finding new appreciation with each spin. It’s a song the band wrote for themselves, about a night they will never forget, in hopes that the song would carry the same meaning in ten years, as it does today. On the single, the band notes : "’Half Past Nine’ is about a moment we all shared at a local music festival, surrounded by friends, all watching our pal, on stage singing his heart out. It's rare to recognize true significance without the help of hindsight, but this particular moment was special and we all knew it right then and there. In short, this song is about trying to hang on to those times, or simply enjoy them while they last, knowing that they’re fleeting. Be thankful for one another, enjoy one another, life is short." Close Talker, now more than ever, is interested in music that is timeless – music that won’t force the listener into feeling a certain way. To achieve this, the band approached “Half Past Nine” following a code of instincts and honesty, including a list of 10 commandments by which each decision was filtered through. The song paves the way for more new music in the near future and is a testament to the band’s integrity and desire to produce music that is original and pure.